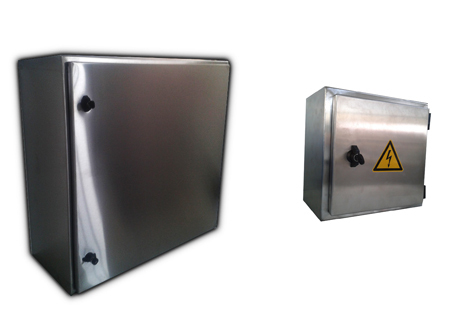 The Outdoor Pillar-type Cabinets of SABO MOSCHIDIS are constructed from galvanised 1,5-2mm metal sheet. 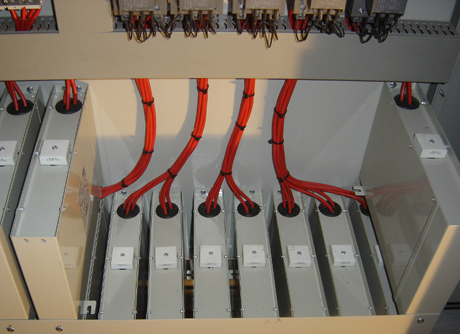 The cabinet solding is covered with a specifiv galvanising spray and then painted with the electrostatic colour RAL 7032 or any other depending on the customer's requirements. 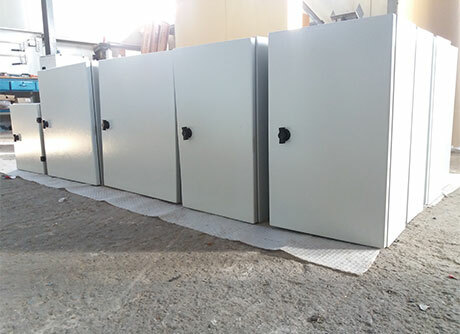 For the maximum durability, the Pillar-type Cabinet can be painted either with polyester electrostatic, plain electrostatic or electrostatic with varnish paint. 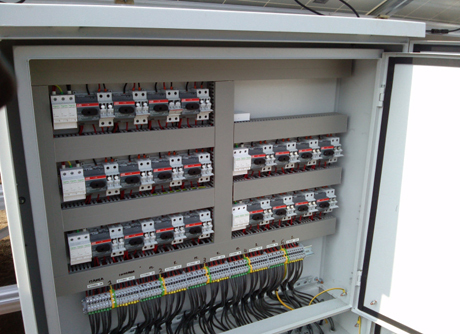 DESIGN AND CONSTRUCTION OF LOW AND MEDIUM VOLTAGE ELECTRICAL BOARDS . All rights reserved SABO © 2015 // A project by Philippos P.